The key is to find ways to finance your education and graduate with the smallest amount of debt. Here are the costs you can expect across Canada. Tuition is just the start. Add in the price of student housing, which varies depending on the university, books and school supplies, food and recreation, a phone plan and return trips home, and the cost of university soon adds up exponentially. And graduating Canadian students carry an average debt burden of about $27,000, according to the 2015 graduating student survey by the Canadian University Survey Consortium, which takes on average 10 years to pay back, according to the Canada Student Loan program. 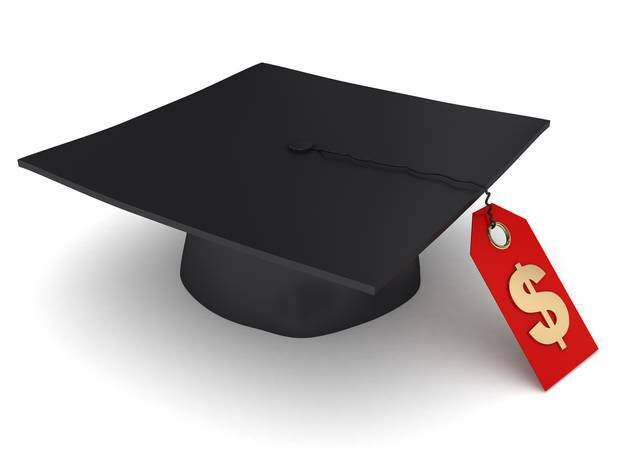 But there are a few options to help students try to minimize the amount of debt they carry with them after graduating. Scholarships and bursaries are one source of funding available at many universities. Scholarships are generally based on academic attainment, but may also focus on community involvement and often have strict criteria for qualifying. Bursaries, which are non-repayable grants, are usually given out based on both academic achievement and financial need. Some provinces, such as New Brunswick and Ontario, are setting up grants to students from lower-income families. Other students may rely on their own savings or contributions from family to help offset the costs of studying. One key source of family help is a Registered Education Savings Plan (RESP), which includes some free money from the government. But to build up enough funds, parents need to start contributing long before students enter university. Some students may find work while at university to earn income, although this must be carefully weighed against the time constraints of their courses. Though students should aim to reduce their debt burden as much as possible, some debt may be inevitable. Government assistance is available to eligible full- and parttime students through Canada Student Loans and their provincial equivalents, which give graduates six months to begin repayments. Interest on a federal loan, which is prime plus 2.5 per cent floating or prime plus 5 per cent fixed, accrues after graduation for full-time students, while for part-time students it accrues while they are in school. The government offers some debt relief for graduates with low incomes. Some students turn to private bank loans, or personal lines of credit. Though some may carry lower interest rates than government loans, they usually need to be repaid while students are still in school. Someone, such as a parent, may need to co-sign the loan. Credit cards are another source of income but these come with high interest rates and students must guard against running up unmanageable amounts of debt. Here are some of the costs full-time undergraduate students face across the country in 2016-17. All data for full-time students in 2016-17 are preliminary and will be finalized in the 2017-18 data release at the beginning of the next academic year.